[Rip_ResetKDR] » Um plugin de resetar KDR um pouco "diferente"! Servidor continua online e adicionamos novos mods como por exemplo Witchery e chisel! gratuito S_Ajuda » Seu plugin de ajuda simples e compacto. Meu servidor está caindo quase todo dia e eu estou suspeitando do authme, vc tem alguma ideia? [10:52:34] [Spigot Watchdog Thread/ERROR]: The server has stopped responding! 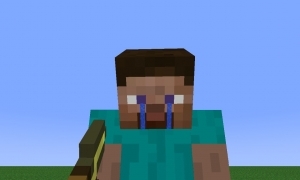 [10:52:35] [Spigot Watchdog Thread/ERROR]: Please report this to https://github.com/CyberdyneCC/Thermos/issues [10:52:35] [Spigot Watchdog Thread/ERROR]: Be sure to include ALL relevant console errors and Minecraft crash reports [10:52:35] [Spigot Watchdog Thread/ERROR]: Cauldron version: 1.7.10-1614.58 (MC: 1.7.10) [10:52:35] [Spigot Watchdog Thread/ERROR]: The server is going slow. Last server tick was -800ms ago [10:52:35] [Spigot Watchdog Thread/ERROR]: Last Tick: 1541854354996 Current Time: 1541854354196 Warning: 30000 Timeout: 90000 [10:52:35] [Spigot Watchdog Thread/ERROR]: [TPS]: 20.0 Server Tick #21655574 [10:52:35] [Spigot Watchdog Thread/ERROR]: Last recorded TPS: 20.0 [10:52:35] [Spigot Watchdog Thread/ERROR]: ------------------------------ [10:52:35] [Spigot Watchdog Thread/ERROR]: Loaded dimensions: [10:52:35] [Spigot Watchdog Thread/ERROR]: Dimension:0 [10:52:35] [Spigot Watchdog Thread/ERROR]: Loaded Chunks: 790 Active Chunks: 218 Entities: 273 Tile Entities: 2083 [10:52:35] [Spigot Watchdog Thread/ERROR]: Entities Last Tick: 121 [10:52:35] [Spigot Watchdog Thread/ERROR]: Tiles Last Tick: 971 [10:52:35] [Spigot Watchdog Thread/ERROR]: Dimension:-34 [10:52:35] [Spigot Watchdog Thread/ERROR]: Loaded Chunks: 0 Active Chunks: 0 Entities: 0 Tile Entities: 0 [10:52:35] [Spigot Watchdog Thread/ERROR]: Entities Last Tick: 0 [10:52:35] [Spigot Watchdog Thread/ERROR]: Tiles Last Tick: 0 [10:52:35] [Spigot Watchdog Thread/ERROR]: Dimension:17 [10:52:35] [Spigot Watchdog Thread/ERROR]: Loaded Chunks: 442 Active Chunks: 129 Entities: 46 Tile Entities: 71 [10:52:35] [Spigot Watchdog Thread/ERROR]: Entities Last Tick: 46 [10:52:35] [Spigot Watchdog Thread/ERROR]: Tiles Last Tick: 32 [10:52:35] [Spigot Watchdog Thread/ERROR]: Dimension:-38 [10:52:35] [Spigot Watchdog Thread/ERROR]: Loaded Chunks: 0 Active Chunks: 0 Entities: 0 Tile Entities: 0 [10:52:35] [Spigot Watchdog Thread/ERROR]: Entities Last Tick: 0 [10:52:35] [Spigot Watchdog Thread/ERROR]: Tiles Last Tick: 0 [10:52:35] [Spigot Watchdog Thread/ERROR]: Dimension:-39 [10:52:35] [Spigot Watchdog Thread/ERROR]: Loaded Chunks: 0 Active Chunks: 0 Entities: 0 Tile Entities: 0 [10:52:35] [Spigot Watchdog Thread/ERROR]: Entities Last Tick: 0 [10:52:35] [Spigot Watchdog Thread/ERROR]: Tiles Last Tick: 0 [10:52:35] [Spigot Watchdog Thread/ERROR]: Dimension:-42 [10:52:35] [Spigot Watchdog Thread/ERROR]: Loaded Chunks: 0 Active Chunks: 0 Entities: 0 Tile Entities: 0 [10:52:35] [Spigot Watchdog Thread/ERROR]: Entities Last Tick: 0 [10:52:35] [Spigot Watchdog Thread/ERROR]: Tiles Last Tick: 0 [10:52:35] [Spigot Watchdog Thread/ERROR]: Dimension:7 [10:52:35] [Spigot Watchdog Thread/ERROR]: Loaded Chunks: 256 Active Chunks: 0 Entities: 75 Tile Entities: 264 [10:52:35] [Spigot Watchdog Thread/ERROR]: Entities Last Tick: 48 [10:52:35] [Spigot Watchdog Thread/ERROR]: Tiles Last Tick: 0 [10:52:35] [Spigot Watchdog Thread/ERROR]: Dimension:-23 [10:52:35] [Spigot Watchdog Thread/ERROR]: Loaded Chunks: 0 Active Chunks: 0 Entities: 0 Tile Entities: 0 [10:52:35] [Spigot Watchdog Thread/ERROR]: Entities Last Tick: 0 [10:52:35] [Spigot Watchdog Thread/ERROR]: Tiles Last Tick: 0 [10:52:35] [Spigot Watchdog Thread/ERROR]: Dimension:5 [10:52:35] [Spigot Watchdog Thread/ERROR]: Loaded Chunks: 0 Active Chunks: 0 Entities: 0 Tile Entities: 0 [10:52:35] [Spigot Watchdog Thread/ERROR]: Entities Last Tick: 0 [10:52:35] [Spigot Watchdog Thread/ERROR]: Tiles Last Tick: 0 [10:52:35] [Spigot Watchdog Thread/ERROR]: Dimension:-1 [10:52:35] [Spigot Watchdog Thread/ERROR]: Loaded Chunks: 0 Active Chunks: 0 Entities: 0 Tile Entities: 0 [10:52:35] [Spigot Watchdog Thread/ERROR]: Entities Last Tick: 0 [10:52:35] [Spigot Watchdog Thread/ERROR]: Tiles Last Tick: 0 [10:52:35] [Spigot Watchdog Thread/ERROR]: Dimension:4 [10:52:35] [Spigot Watchdog Thread/ERROR]: Loaded Chunks: 0 Active Chunks: 0 Entities: 0 Tile Entities: 0 [10:52:35] [Spigot Watchdog Thread/ERROR]: Entities Last Tick: 0 [10:52:35] [Spigot Watchdog Thread/ERROR]: Tiles Last Tick: 0 [10:52:35] [Spigot Watchdog Thread/ERROR]: Dimension:3 [10:52:35] [Spigot Watchdog Thread/ERROR]: Loaded Chunks: 0 Active Chunks: 0 Entities: 0 Tile Entities: 0 [10:52:35] [Spigot Watchdog Thread/ERROR]: Entities Last Tick: 0 [10:52:35] [Spigot Watchdog Thread/ERROR]: Tiles Last Tick: 0 [10:52:35] [Spigot Watchdog Thread/ERROR]: Dimension:1 [10:52:35] [Spigot Watchdog Thread/ERROR]: Loaded Chunks: 0 Active Chunks: 0 Entities: 0 Tile Entities: 0 [10:52:35] [Spigot Watchdog Thread/ERROR]: Entities Last Tick: 0 [10:52:35] [Spigot Watchdog Thread/ERROR]: Tiles Last Tick: 0 [10:52:35] [Spigot Watchdog Thread/ERROR]: Dimension:2 [10:52:35] [Spigot Watchdog Thread/ERROR]: Loaded Chunks: 256 Active Chunks: 0 Entities: 72 Tile Entities: 11 [10:52:35] [Spigot Watchdog Thread/ERROR]: Entities Last Tick: 72 [10:52:35] [Spigot Watchdog Thread/ERROR]: Tiles Last Tick: 0 [10:52:35] [Spigot Watchdog Thread/ERROR]: ------------------------------ [10:52:35] [Spigot Watchdog Thread/ERROR]: Server thread dump (Look for plugins here before reporting to Cauldron! ): [10:52:35] [Spigot Watchdog Thread/ERROR]: ------------------------------ [10:52:35] [Spigot Watchdog Thread/ERROR]: Current Thread: Server thread [10:52:35] [Spigot Watchdog Thread/ERROR]: PID: 16 | Suspended: false | Native: true | State: RUNNABLE | Blocked Time: -1 | Blocked Count: 62714 [10:52:35] [Spigot Watchdog Thread/ERROR]: Stack: [10:52:35] [Spigot Watchdog Thread/ERROR]: java.io.FileOutputStream.open0(Native Method) [10:52:35] [Spigot Watchdog Thread/ERROR]: java.io.FileOutputStream.open(FileOutputStream.java:270) [10:52:35] [Spigot Watchdog Thread/ERROR]: java.io.FileOutputStream.<init>(FileOutputStream.java:213) [10:52:35] [Spigot Watchdog Thread/ERROR]: java.io.FileOutputStream.<init>(FileOutputStream.java:162) [10:52:35] [Spigot Watchdog Thread/ERROR]: net.minecraft.world.storage.SaveHandler.func_75753_a(SaveHandler.java:267) [10:52:35] [Spigot Watchdog Thread/ERROR]: org.bukkit.craftbukkit.v1_7_R4.entity.CraftPlayer.saveData(CraftPlayer.java:550) [10:52:35] [Spigot Watchdog Thread/ERROR]: fr.xephi.authme.listener.AuthMePlayerListener.onPlayerQuit(AuthMePlayerListener.java:793) [10:52:35] [Spigot Watchdog Thread/ERROR]: sun.reflect.GeneratedMethodAccessor347.invoke(Unknown Source) [10:52:35] [Spigot Watchdog Thread/ERROR]: sun.reflect.DelegatingMethodAccessorImpl.invoke(DelegatingMethodAccessorImpl.java:43) [10:52:35] [Spigot Watchdog Thread/ERROR]: java.lang.reflect.Method.invoke(Method.java:498) [10:52:35] [Spigot Watchdog Thread/ERROR]: org.bukkit.plugin.java.JavaPluginLoader$1.execute(JavaPluginLoader.java:334) [10:52:35] [Spigot Watchdog Thread/ERROR]: org.bukkit.plugin.RegisteredListener.callEvent(RegisteredListener.java:62) [10:52:35] [Spigot Watchdog Thread/ERROR]: org.bukkit.plugin.SimplePluginManager.fireEvent(SimplePluginManager.java:507) [10:52:35] [Spigot Watchdog Thread/ERROR]: org.bukkit.plugin.SimplePluginManager.callEvent(SimplePluginManager.java:492) [10:52:35] [Spigot Watchdog Thread/ERROR]: net.minecraft.server.management.ServerConfigurationManager.disconnect(ServerConfigurationManager.java:441) [10:52:35] [Spigot Watchdog Thread/ERROR]: net.minecraft.network.NetHandlerPlayServer.func_147231_a(NetHandlerPlayServer.java:953) [10:52:35] [Spigot Watchdog Thread/ERROR]: net.minecraft.network.NetworkSystem.func_151269_c(NetworkSystem.java:174) [10:52:35] [Spigot Watchdog Thread/ERROR]: net.minecraft.server.MinecraftServer.func_71190_q(MinecraftServer.java:1023) [10:52:35] [Spigot Watchdog Thread/ERROR]: net.minecraft.server.dedicated.DedicatedServer.func_71190_q(DedicatedServer.java:432) [10:52:35] [Spigot Watchdog Thread/ERROR]: net.minecraft.server.MinecraftServer.func_71217_p(MinecraftServer.java:841) [10:52:35] [Spigot Watchdog Thread/ERROR]: net.minecraft.server.MinecraftServer.run(MinecraftServer.java:693) [10:52:35] [Spigot Watchdog Thread/ERROR]: java.lang.Thread.run(Thread.java:748) E eu estava lendo eu vi q tem coisa do Authme, vcs tem alguma ideia doq seja? ainda estou procurando... preciso banir um item em um certo mundo! Estou procurando um plugin de banir items q possa banir items por mundo, por exemplo no spawn quero banir a terra ( só exemplo ) ai preciso de um plugin q faça isso! e tbm confisque o item!